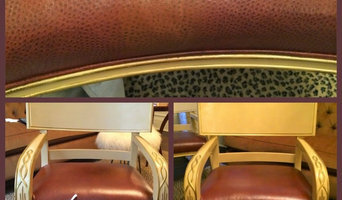 Upholstery Unlimited Innovation is a furniture upholstery repair company that has been around over 20 years. We can repair any kind of furniture as well as custom curtains, cornices, window treatments, drapery, and uphosltered walls. 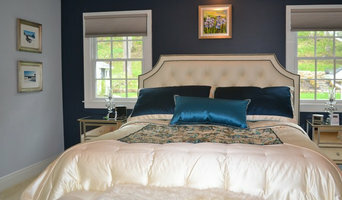 We specialize in headboards, footboards, chairs, sofas, cornices, wood refinishing and upholstered walls, for all your residential and commercial upholstery needs. We do free estimates! 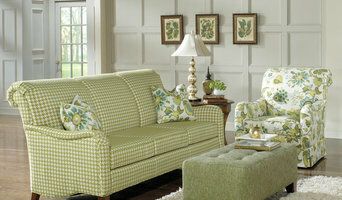 Dr. Sofa ® comes from three generations of furniture specialists. Even at a young age, he was drawing sketches and carrying out small repairs for the family’s furniture business, pretty soon it became apparent that the Doctor was meant to work with furniture. 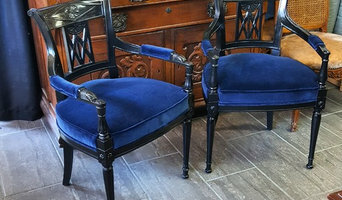 As he grew older, he apprenticed in the business beginning with basic carpentry, and quickly expanding into upholstery, refinishing, design and antique furniture repair. Misha was founded in 1988 with a simple vision: to offer an unparalleled brand of carpets and area rugs that reflect innovation, style and opulence. Today, 28 years later, that vision has materialized into a distinct reality with the company steady rise as a dealer and manufacturer. Misha works closely with reputable designers and architects across the industry and is recognized for its commitment to utilize the finest materials, craftsmanship and designs to deliver splendor and elegance. Our flagship materials include silk and wool which are hand-prepared at local and international mills with years of experience. Misha continually strives to meet its client’s expectations; whether it is an intricate design, finding a compatible material and pattern that accentuates a desired setting, or completing an overnight installation for a time constraint project. Misha has won recognition and notable features in leading national publication such as Architectural Digest, El Décor, House Beautiful and New York Cottages & Gardens. However, Misha’s impeccable reputation is best affirmed by its clientele’s consistent loyalty and satisfaction.